Most users sell off their old HDD online but what is important is that you erase the drive completely so that the old data is not recoverable using before recovery software, coz your information might end up in others hands.HDShredder is a free hard drive eraser tool that can also erase IDE and USB Storage Drives. 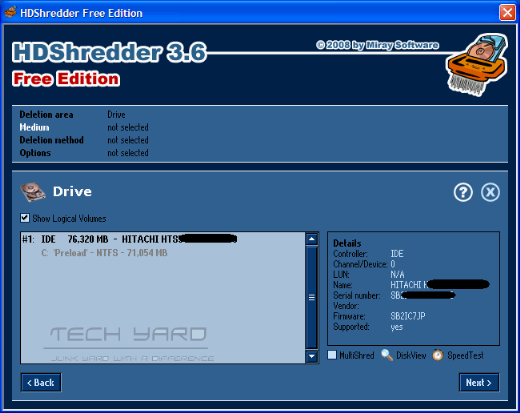 HDShredder can completely erase HDD using Secure high-speed deletion technique with erase speeds up to 100 MB/sec or 6 GB/min and more.The tool erase using Iterative deletion patterns.A bootable CD/DVD on Windows can also be created so that a drive with no OS can also be erase using the Bootable disc. 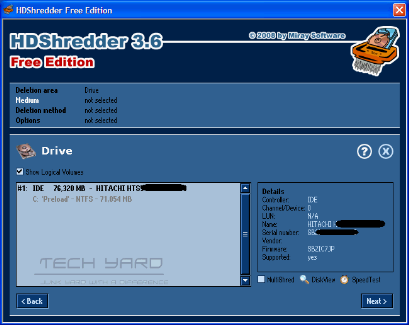 HDShredder is a portable application and can be carried along on USB Drives and can be used on any system.